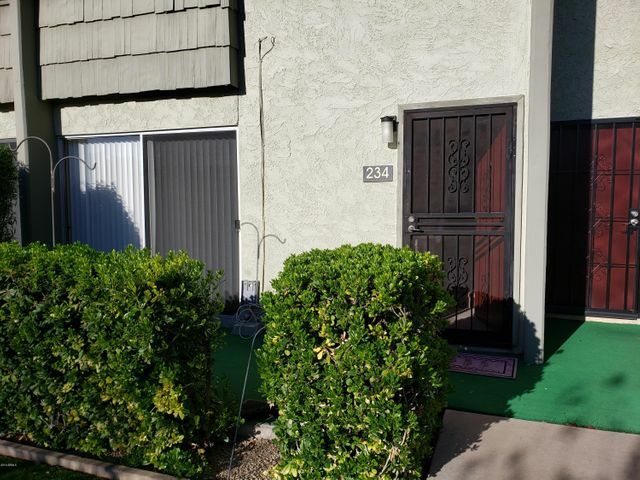 Downtown Scottsdale is a vibrant fun filled area with international name recognition. 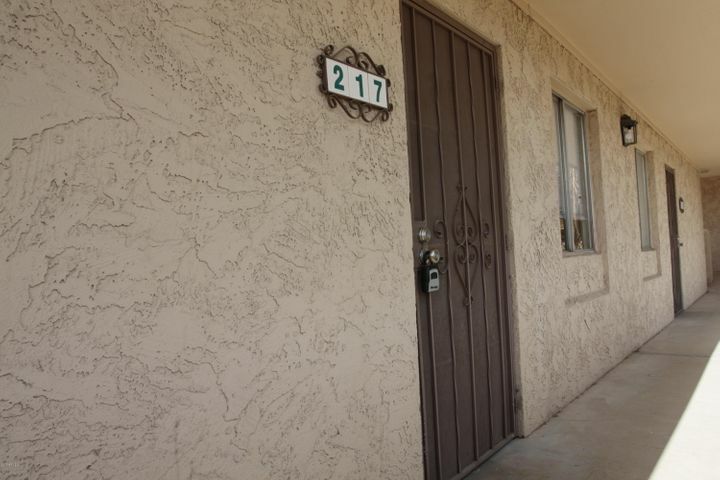 A Scottsdale address means something (you have heard the term “Location, Location, Location)! The downtown area is about 1.2 square miles and contains more than 100 art galleries, 85 restaurants, 50 lounges and bars, and 50 public artwork projects. The downtown Stadium is the only facility is a downtown area in the Cactus League. Half of the special events in Scottsdale were held downtown, in fact in 2014 58% of events were held downtown (149 events). Envy Residences broke ground in 2015, it was built by Deco Communities, and they promoted this eight story building as “Scottsdale’s Most Opulent Address”. The concrete and steel tower was designed by Los Angeles architectural firm, Harley Ellis Devereaux. The building is located on the edge of Scottsdale’s entertainment district and historic Old Town. This gated development features community pool and spa, a fitness center, a yoga studio, a black label residents lounge, and 24-7 concierge service. The Hotel Valley Ho, a seven story tower was added to this historic hotel in 2005 and the third through seventh floors features 37 condominiums as two-story lofts, one and two-bedroom condominiums, or spectacular view penthouses with both city and mountain views (and of course sunsets)! The hotel originally opened December 20 1956 and was designed by a student of Frank Lloyd Wright. It was the first hotel in Scottsdale to have air conditioning! Many Hollywood celebs and baseball players stayed at the hotel – in December 1957, Robert Wagner and Natalie Wood celebrated their wedding reception at the hotel, and Jimmy Durante when he stayed at the hotel would come down from his room to play the piano in the lounge for other sleepless guests. In 2001 the hotel closed and was placed on the Scottsdale Historic Register. It was purchased in 2002, renovated (close to $80 mil), and a new 7-story tower was added with a 2005 re-opening. Hotel Services include Complimentary valet parking at entrance, Concierge, Signing privileges through the hotel, restaurant, and spa, Privileged access to pool with private cabanas, pool bar, and two spas, and Arrangements for housekeeping services. The height of luxury living on a canal in the desert in the heart of Scottsdale! Two 13- story residential towers were built each with 99 luxury condominium homes per building. The development broke ground 2005, and was completed in 2007/2008. Each tower has a grand entrance lobby with reception desk, guest seating, fireplace, conference room and each tower also has two passenger elevators and a dedicated service elevator. The towers are right next to Scottsdale Fashion Square! 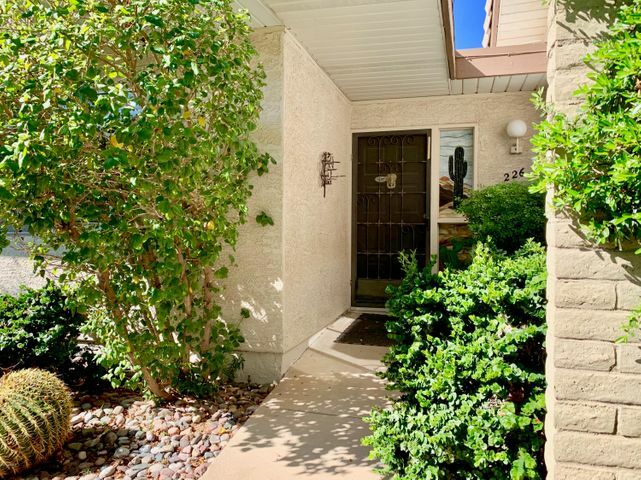 Spectacular mountain and city views and the great central Scottsdale location right on the canal. Features demo kitchen for chefs, a fitness center, a business center, a conference room, climate controlled wine storage lockers, a rooftop swimming pool and spa, a dining room for private parties, and gated underground assigned parking. Location, Location, Location!! Third Avenue Lofts is comprised of 84 unique loft homes with 30 different floor plans. Each individual loft’s traditionally designed open plan includes high ceilings, expansive windows, and unparalleled finishes. The lofts range from 611 to over 3000 square feet, with one and two story units, and include rich wood flooring, elegant cabinetry, exclusive fixtures, 18-foot ceilings and 15-foot windows, private balconies, state-of-the-art electronic communications, and security systems. Project broke ground Oct 2002, and was completed in 2004 by Trillium. Penthouse level city and mountain views! This development features a swimming pool with water fall, a community spa for up to eight people, an outdoor fireplace and conversation area, outside service bar with BBQ, refrigerator, ice maker and sink, and a fitness center with free weights, exercise and cardio equipment. The 4020 was converted in 2007 from an office building to retail on 1st floor, with 21 residential loft-style condos on the second and third floors. Five of the 10 third floor units have individual spiral staircases for individual access to private roof decks. Due to the 2008/09 recession, the condo units were rented instead. 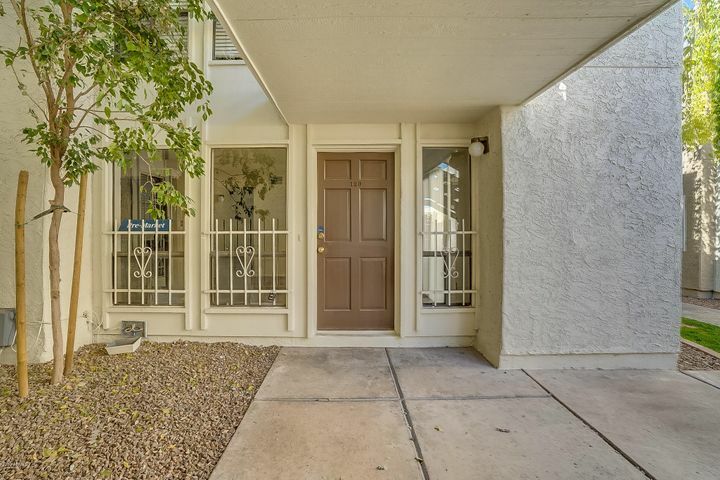 Also known as Scottsdale Old Town Lofts! In early 2014 the units came on the market as lofts for sale. Features gated underground parking. First phase of this development was built in 2006, with the other planned phases on hold due to the recession. In mid 2012 the City of Scottsdale stopped discussions with the developer so additional phases of this development are questionable. Originally presented as a multi-use development including ground floor retail and 175 living units on 7.5 acres of downtown land; however only 33 condo/loft units were built along with a portion of retail space in Phase I. Three buildings in the first phase were built, one with 26 condo residences (Building G), and two buildings with seven loft style units (Building A). The development features underground gated parking, community pool and spa, a fitness Center and business center. 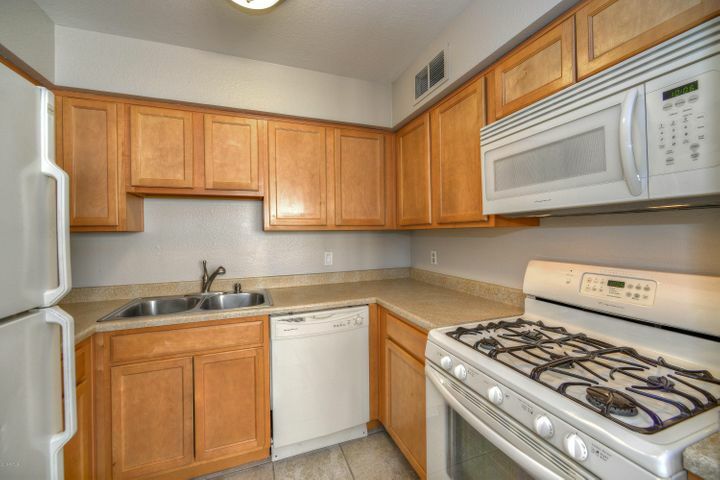 Live on a canal in the desert with views out your floor-to-ceiling windows and be able to walk to Fashion Square Mall! The development is named after the 1950s-era Safari Resort which used to occupy this prime 4.8-acre site just across Scottsdale Road from Scottsdale Fashion Square . Safari features lofts, flats and town homes from 800 sq feet to 2,700 sq feet. The original developer defaulted on a 97 million dollar loan in 2009, and ST Residential purchased the property and re-opened it in 2011 at reduced prices. Phase I is completed, and Phase II was approved for 160 units, however that was never built. This gated community features a Spa and Fitness Club, 3 pool areas, and an art garden. Developed by Grace Communities, with Summit Builders as the General contractor, this 4 story urban building has 82 loft style homes built around a central courtyard. The company providing the financing for the development went bankrupt about 90 days prior to completion (late 2008), so the building sat vacant for two years until purchased in 2010 by Connell Real Estate & Development. The original 64 buyers that had signed contacts with Grace Communities got their money back, the building was finally completed and the units were rented due to the local market conditions at the time. The community features a community pool and spa, a clubhouse with kitchen, and fireplace, a fitness center with free weights and cardio equipment, individual wine bars, and underground gated parking (one space for 1 bedroom units, two for 2 bedroom units). 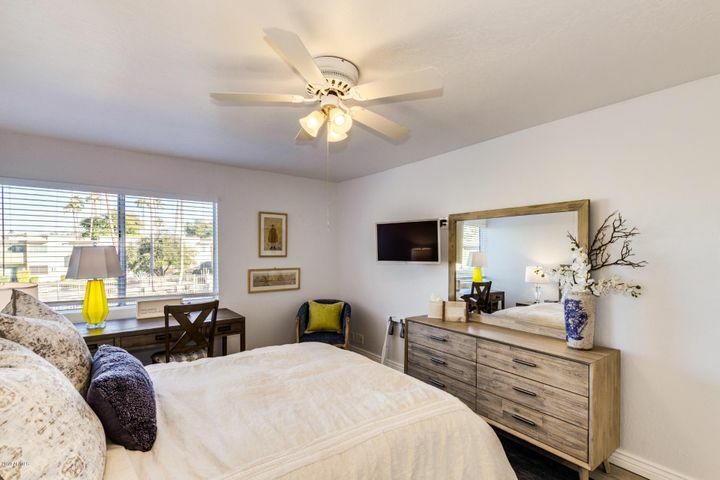 The Douglas Scottsdale — six contemporary townhome style Single Family homes in downtown Scottsdale, designed by architect John Douglas, and has no HOA! The development is just next to the famous Hotel Valley Ho. Builder was Venue Builders and developed by Venue Projects. Features individual gated entry court. Breaking ground May 11, 2016, this Architect Will Bruder designed development combines 7 “luxury downtown Scottsdale penthouses” (townhome style condos) with 4,500 square feet of commercial space on a .6 acre property just across from the famous Hotel Valley Ho. The development features townhome style condos on the second and third floors with sky decks above with private garages and lobby for the residences as well as a lap pool and spa. Homes that will range between 3,000 and 3,500 square feet. Project was developed by North American Development Group. A 2016 build development of 10 townhomes built by Landmark Homes. The homes are all 3 story, vary in size between 1,429 and 1,847 sq feet, and feature a community pool and BBQ. Under construction in 2018, this 11 unit townhome style condo development is being built in two buildings, each will be three story with garage on 1st floor. This gated community meets Energy Star Zero Energy Ready (ZEH) requirements and will have a community pool and spa. 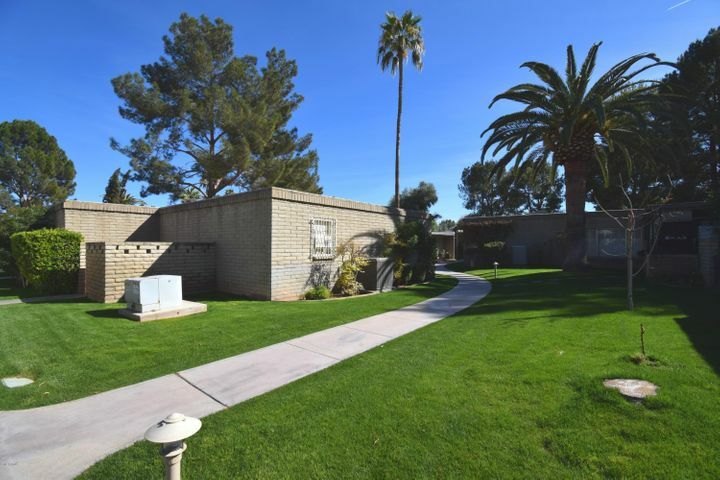 Royale Gardens was built by Del Trailor in 1963, and has 44 distinctive town homes that vary from 1,424 sq feet to 2,620 sq feet. The homes are a combination of one and two story homes and were built using block construction with built-up flat roofs. Community features a pool and clubhouse. Originally built as apartments. A combination of upscale condo’s and town homes on the Arizona Canal just north of downtown Scottsdale. Hotel Ivy occupied this site, but was demolished to make room for this project which Summit Properties started building in Oct. 2007, just as the local real estate economy was tanking. The projects first phase was completed but sat empty until the developers sold it to iStar Financal in 2010; with the grand opening in Jan the following year. This $40 million dollar development was originally called “Reflections on the Canal” and sits on six acres. Phase I consists of 50 homes, 32 condos (including two penthouses) and 16 town homes. Phase II, located just south was announced in early 2014 with the homes and plans released in winter of 2014. Community features a community pool and spa, and a two story clubhouse with a fitness area, catering kitchen, wine cellar, and a outdoor BBQ. Under construction in 2018, the development consists of 24 townhome style condo units (3 two-story, and 21 three-story). The community features a community pool and spa, ramada's with BBQ's and each unit has a roof top deck, including water and gas hook-ups. Four floorplans offered ranging between 1,932 and 2,440 sq feet. 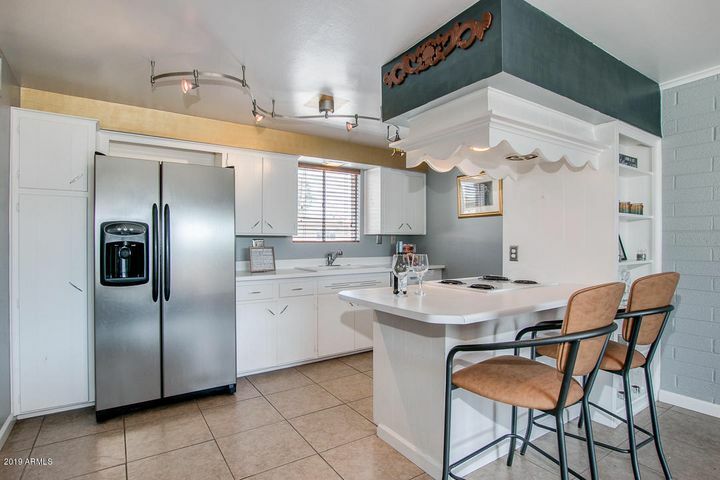 An small intimate community of 19 contemporary town homes in Scottsdale built in 1974. The average size of each home is 1,853 sq feet. 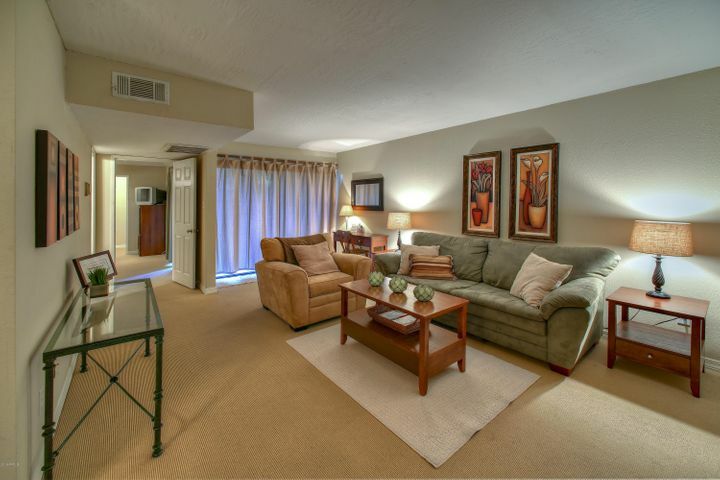 Community features a heated pool. Built by Taylor Morrison, this community started life in 2017 and consists of 24 three-story detached townhome style single family homes, each with a private courtyard. The community has a community pool. Three plans offered ranging from 1,809 to 1,903 sq feet. Upscale small town home community built by Del Trailor Homes in 1971. Many of the homes have been remodeled, the average size home is 2,299 sq feet. Block construction, 46 homes were built. Features a community pool. 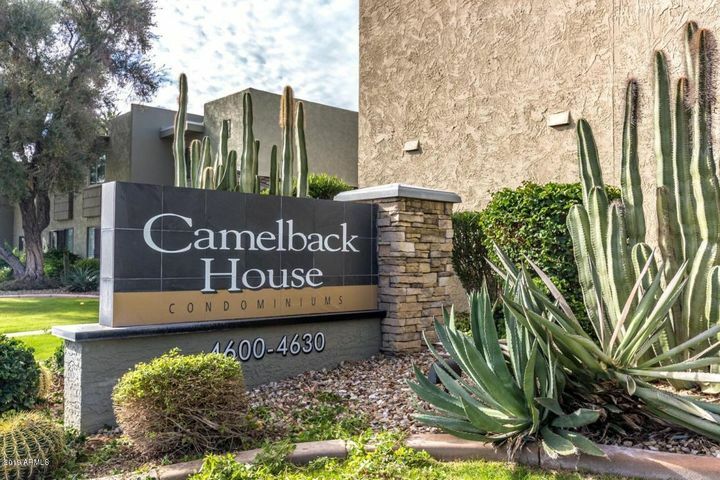 A great little townhome development backing to the canal in downtown Scottsdale. 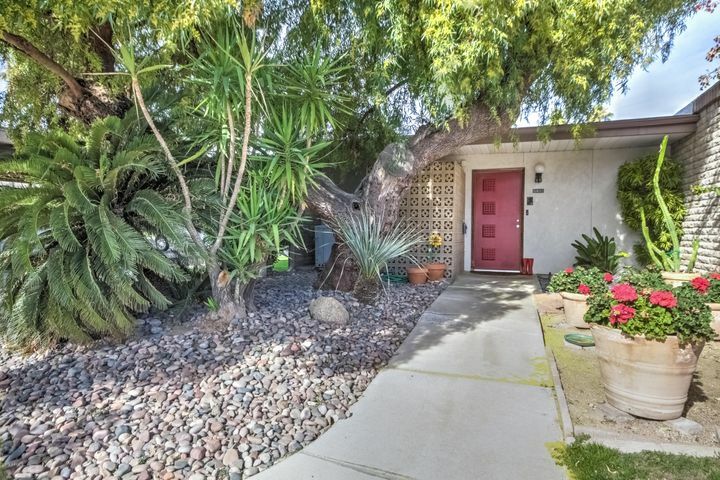 Del Trailor built this all single story community in 1966, it contains 30 townhomes around a central courtyard with a killer pool area. The homes average 2,430 sq feet, and are block construction with flat built up roofs. All homes have two car garages. 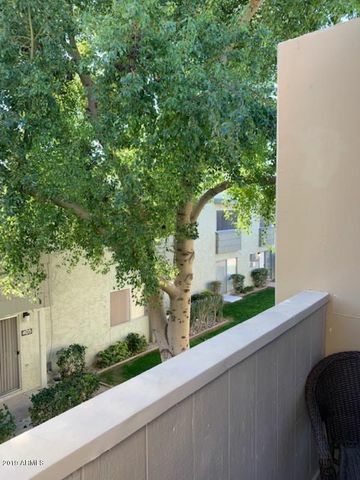 A town home community built by Monterey Homes between 1986 and 1991 that is within walking distance of Scottsdale Fashion Square! The community is 24 hour guard gated, has a heated community pool and spa, and a work out facility. 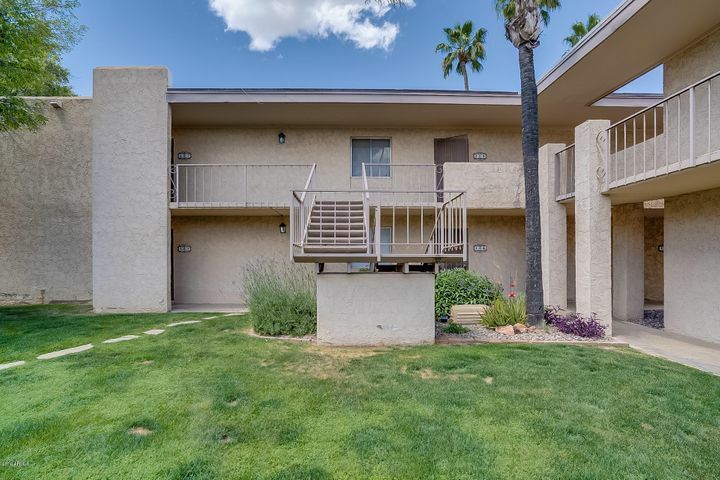 Located across the street from the Scottsdale Fashion Square, these 296 condos and some two bedroom townhomes were built on leased land in 1974. The average size of the units is 925 sq feet. The complex features four pools, BBQ/picnic areas, and a community laundry (most units do not have laundry rooms in units). Note that it is built on leased land, there is a land lease fee paid monthly to the HOA, the amount can be increased every 20 years (2010-2030-2050 etc.). Insprire on Earll is Deco Communities second development in Scottsdale, it broke ground September 15, 2015. Inspire on Earll is a 97 condominium community with 10 available floorplans that will be built in two phases. Designed by Harley Ellis Devereau in Los Angeles. Features a resort-style courtyard, furnished for outdoor living with lounge areas, BBQ’s, TV’s, bocce court, and outdoor kitchen, a salt-water pool, surrounded by deck area with lounge chairs, cabanas, and fireplace features, a fitness facility, a community lounge, an on-site 600 sq. ft. bike room including tools and pumps, secured storage and custom designed bike racks and an on-site dog park. Designed by Allen+Philp Architects and Steve Voss, this 4 story building will feature ground floor commercial with 11 condo units above. The ground floor includes the residents lobby and elevators, about 2,485 square feet of commercial space, and an at-grade secure residence parking area. The three levels above contain the condo units that will average 2,400sf, and common area that contains a water feature, hot tub, exercise room, warming kitchen, patio area and a gas fire pit. As of April 2016 construction has been underway for some time. 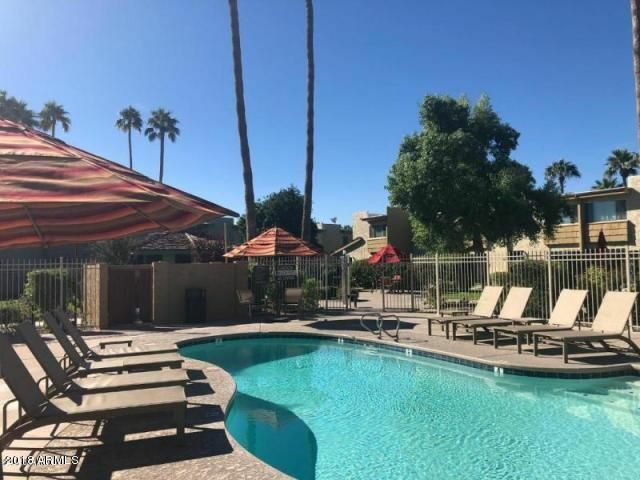 Live in Scottsdale with a roof top pool with views of Camelback Mountain and be next to a famous hotel (Hotel Valley Ho) that still provides room service food deliveries to your doorstep! This six story building was built by Toll Brothers, but due to the 2008/09 recession they only sold 13 units. The remaining 72 units were sold to AG Investments Mark LLC for $17.3 million in November 2009, which almost cut in half the selling prices. The community features a rooftop swimming pool, spa and gourmet barbeque, valet parking, fitness center and private trainer, and the M Club Board Room and business center. 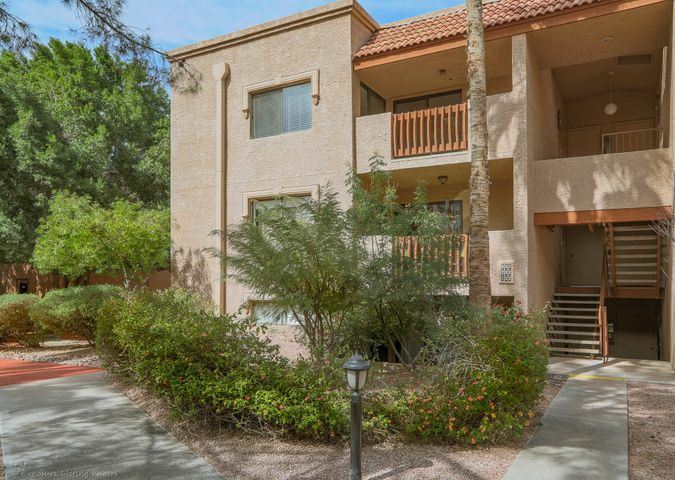 Built by Ryerson Group in 1987, this upscale development has 115 condominium units around a courtyard within walking distance of downtown Scottsdale. The community features a concierge Monday through Friday 8am to 4pm, a full-time on site maintenance manager, and community pool and spa. A distinctive modern upscale development within walking distance to Scottsdale Fashion Square, and it incorporates many green living features (in fact it is LEED Certified). The development includes 750 condominium residences in 11 buildings (some up to 7 stories high) on 13 acres of prime Scottsdale real estate. The building structures are a steel I-Beam system with a façade of glass and stone panels. The elegant centerpiece is the grand courtyard promenade, which is filled with resort-style luxuries, such as waterfalls, reflective pools, and lush landscaping. Units vary from around 800 sq feet to over 3,000 sq feet. There is even a furniture store on-site! Optima was developed by Optima Inc. which was founded in 1978, and the sister Arizona company, OptimaDCH. Construction was started in 2005 with the developer selling the last of the final phase in mid 2012. The community features a 24,000 sq foot fitness center with indoor and outdoor pools/spas, basketball court, racquetball court, a dog park, BBQ area, party room with catering kitchen, and on-site market. Looking for Luxury? Now you can live at the W Scottsdale Hotel in downtown Scottsdale! 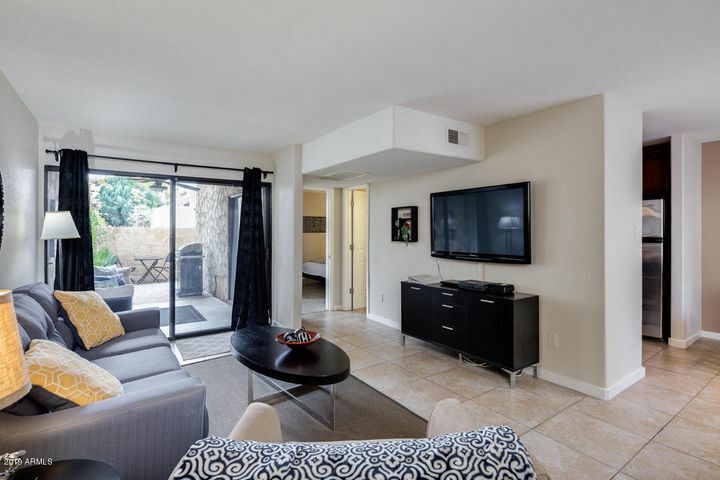 This great upscale hotel with astounding city and mountain views in downtown Scottsdale is located next to the canal and within walking distance of Scottsdale Fashion Square. On the 6th and 7th floor of the W Scottsdale Hotel are 18 condo penthouse residences that range from 950 sq feet to 2,815 sq feet. The W Hotel is 7 stories, has a heated pool and spa, it was built by Trivar Company, and you get hotel perks and discounts as well.